Welcome to eParents Academy! 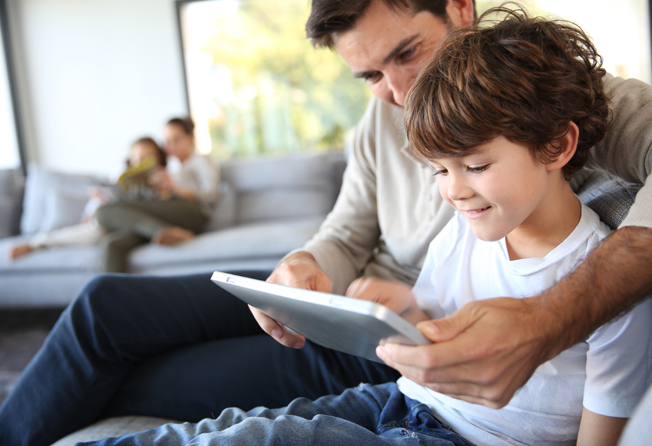 The eParents Training Programme is designed for parents who wish to gain insight into eLearning and work with eContent to support their children’s learning. Training is designed to inspire parents to become promoters and evangelists in the uptake, sharing, and reuse of digital learning resources in schools. Families are children's first and best teachers. However, parents still think of “The three Rs” (Reading, wRiting and aRithmetic), which refers to the basic skills-oriantated education program within schools as being neglected by the entrance of new technologies in school life. The eParents Training Programme should aim to help parents to transition to a different way of learning, by analyzing the changing role of learning today. Research shows that a positive parenting style has a strong positive impact on children. The eParents Training Programme needs to support parents to play a full and positive part in their children’s learning and development. By the end of the course, parents should be able to support their children’s learning by utilizing the resources and the content of the ODS infrastructure. Заглавие: 4. Online-safety. Responsible use and Cybersafe behavior. How to teach children self-discipline and time management.